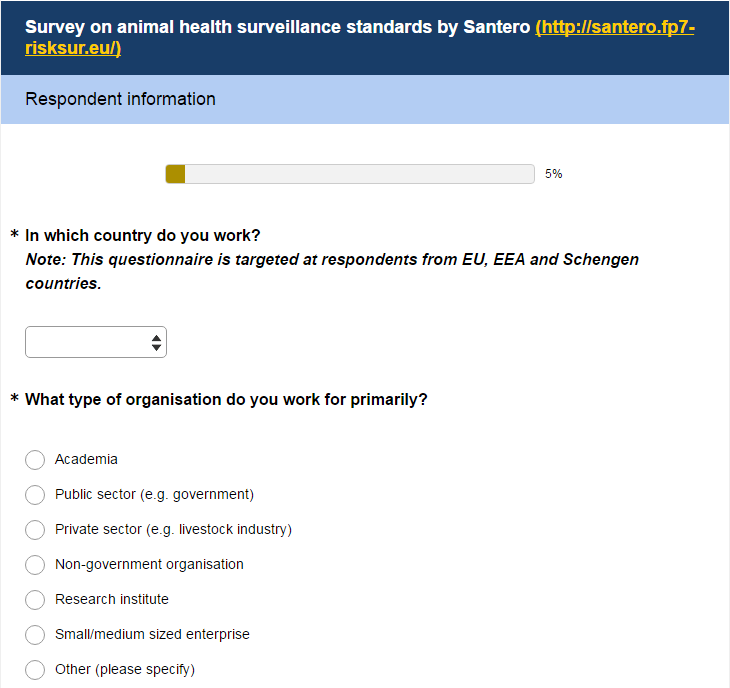 NEW SURVEY AVAILABLE for surveillance professionals – -open until 2nd June. This is the opportunity to give us your feedback and input on the use standards, novel approaches and best practices for animal health surveillance and food hazards surveillance. This will provide information to identify surveillance needs and help leverage the technical potential of existing risk-based surveillance approaches that currently may be underutilised. Who should complete this survey? : decision makers for surveillance and/or their technical advisors and/or technically competent users or data analysts who design, implement, or assess surveillance across the EU, EEA or Schengen countries. Participants will have the opportunity to enter a prize draw for three book tokens! Thank you very much for your participation, it is very important and much appreciated.